Police say that Brenna Reilly, a 29-year-old woman from Arlington, Virginia, pulled a pretty good con on her neighbors. 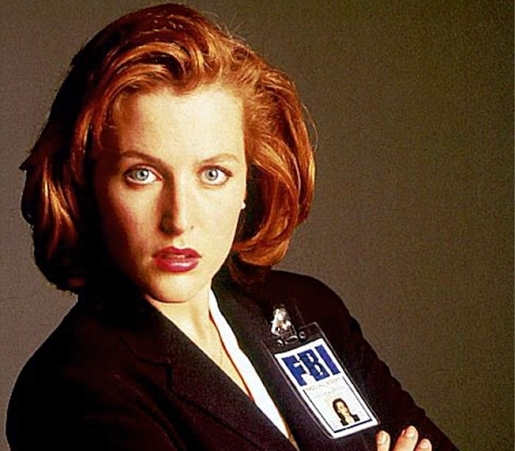 Not only did Ms. Reilly have them believing she was an FBI agent, like the pictured Dana Scully above, she also had them believing she was the director of forensics (!) and that she was able to hire them on as a fellow fed! She had them fill out job applications and everything! Among their duties as her personal assistants were writing condolence letters to the families of agents killed in the line of duty. Sounds like someone’s been watching way too much 24, doesn’t it? I mean, the FBI generally doesn’t get involved in any big operations or chase down sellers of nuclear secrets; they’re more the guys who enforce copyright laws and such. CIA agents are the ones who get to go on cool international spying adventures.